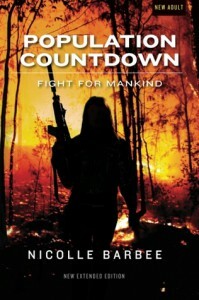 Population Countdown: Fight for Mankind (Extended Edition-Paperback) - Devin Reads! I just want to say that I was literally up ALL night reading this book. I thought that all of the action was amazing. It had me hooked from the very first page. I also really enjoyed the romance in this book. There are so many books now days that really over do the romance. This book, it was perfect. It was one of those relationship where you just wanted everything to work out for the two of them. Another thing that I noticed was that the action never let up. There are some books that I have read where it would have a crazy action scene then for like 100 pages, would just be boring information. I loved that this book was able to keep the action going and keep me entertained throughout the whole thing. Overall, I REALLY liked this book a lot. I am so glad that I was given the opportunity to read it! If you like YA/Sci-Fi/Dystopian books, you'll LOVE this one!